Having received his bachelor’s and master’s degrees from Vanderbilt University, Lee Hall-Perkins is a historian of African American religious history. 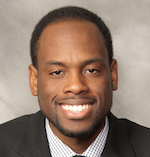 His research interests include topics related to race, religion, class, and sexuality. As an ordained Pentecostal minister in the Church of God in Christ, Lee also has special interest in the academic study of Black Pentecostalism.